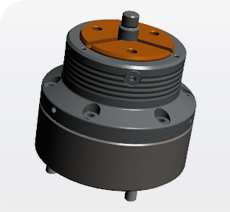 Workholding solution for Crankshaft using Quick Jaw Change Compensating Pull Down Chuck. 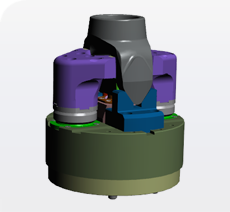 Workholding solution for Yoke Component using 2 Jaw Compensating Pull Down Chuck. 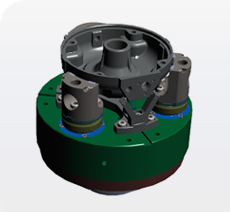 Workholding solution for Torque Plate Component using 3 Jaw Self centering Pull Down Chuck with Floating Jaws. 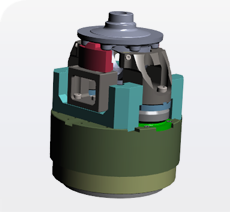 Workholding solution for Rear Cover Component using 3 Jaw Self centering Pull Down Chuck with Floating Jaws. 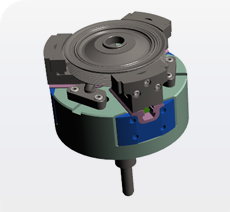 Workholding solution for Diff. 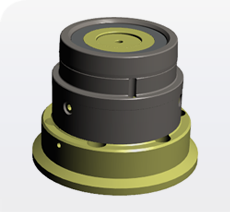 Case Component using 2 Jaw Self-Centering Pull Down Chuck. 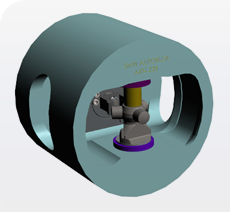 Workholding solution for Pipe Application Component using Front End Pneumatic Chuck. Workholding Solution for Damper Pulley using Expanding Mandrel. 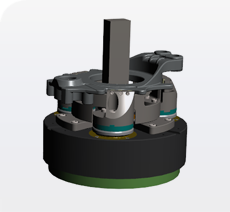 Workholding Solution for Damper Pulley Assembly using Long Stroke Sealed Standard Chuck. 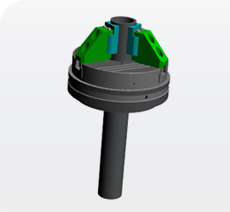 Shaft Component application using Collet Chuck. 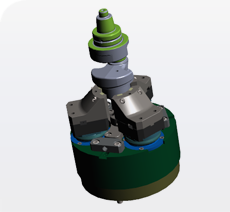 Workholding solution for Tripod component using Auto Indexing Chuck. 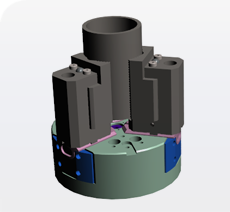 Workholding Solution for Thin Walled component using Floating Jaws with Sealed Standard chuck. 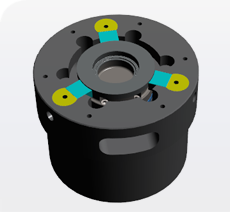 Workholding Solution for Gear Blank using Pull Back chuck for Second Operation.